You are currently browsing the tag archive for the ‘basketball’ tag. I’m sure many parents can relate when I say I spent all of last weekend in the gym. Of course I wasn’t working out. I was sitting on the bleachers, cheering on my children in their respective sports. 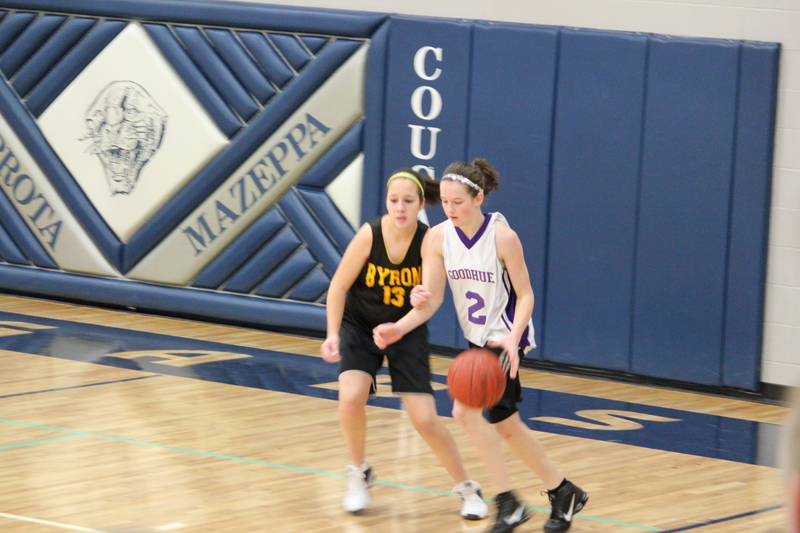 On Saturday morning Madison had to be to her basketball tournament at 7:30am. I found a spot on the bleachers next to some other moms and spent the next four hours chatting and cheering. You get to know the other parents really well after spending that much time with them! I didn’t get to watch the entire basketball tournament, because I was off to my next destination. I went home next to pick up Kendrah, who was now finished working in the barn. We picked up one of her friends and headed to Rochester to the National Volleyball Center. 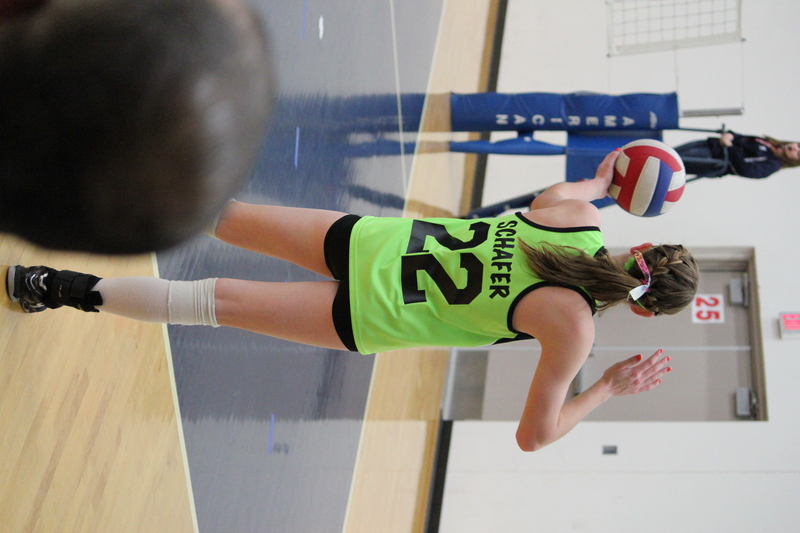 Kendrah is on a JO volleyball team that plays volleyball January-May. I do have to say that I prefer watching volleyball over basketball, but that’s just because I prefer playing volleyball over basketball. We arrived home that evening around 7:00pm and I felt exhausted from sitting all day! 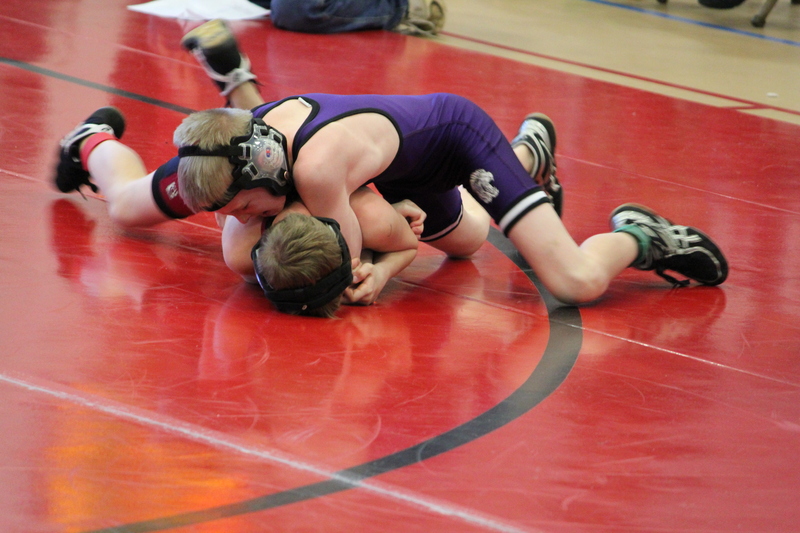 On Sunday morning we headed to Cannon Falls with Max for a wrestling tournament. More bleachers, more cheering, more sitting. The Goodhue Elementary Wrestling Team ended up taking first in the tournament and it was an exciting day for everyone. It’s easy to spend an entire weekend sitting, but it’s important to make time for yourself and get moving. Whether you enjoy walking, running, cycling, or skiing, it doesn’t matter as long as you move. It’s seems timely that the first snowfall of the season falls on the start of basketball season. Today Beth’s 5th grade girls’ basketball team had their first practice. As the coach, I told the girls I had two goals for them this season, which really are the same as last season; to have fun and to learn and improve. For those of you that have followed this blog, you know that Power Power has not only dealt with what we do, how we eat and how we train. It’s also dealt with what we think and how will feel. For these girls it’s just as important to have a positive self-image about themselves and confidence in what they do, as it is to make a basket. I also like to stress teamwork and supporting and encouraging each other through the games. I enjoy coaching and have been fortunate to coach a number of the kid’s teams in a variety of sports. It’s not just the winning, although I am competitive. I enjoy watching a group of kids work together to accomplish common goals. I love to see the “Ah Ha” moment on their faces when the things I have been telling them finally make sense and they actually do them. So stay tuned, basketball season has started and we’re in for a fun time.